Through the unique format of a Game Changers challenge-led event, innovators from a wide range of industry sectors were brought together to focus their thoughts on tackling the challenge of producing waste containers for Sellafield more quickly and at reduced cost, without compromising environmental and operator safety. As a result, 29 Game Changers funding applications were received and, following a rigorous process of assessment and down selecting, 7 of these applications have been shaped into 3 exciting proof of concept projects. Whilst these projects are all early stage each project has game changing potential for business and operational benefit to Sellafield Ltd.
A major aspect of Sellafield’s decommissioning operations involves the efficient and safe movement and storage of radioactive waste ranging from wet sludge to large items of machinery and building components. The high cost of current stainless steel containers means that Sellafield Ltd predict a cost of up to £4bn on waste containers during decommissioning, and are therefore seeking innovative solutions to meet the stringent safety requirements of waste containment with increased efficiency and reduced cost. To clearly present the challenge to a range of innovators from across different industry sectors and facilitate the development of novel and collaborative solutions, Game Changers held a challenge-led event at the Nuclear Advanced Manufacturing Research Centre (AMRC) in Rotherham in January 2017. Key decision makers and experts from Sellafield Ltd, Nuclear AMRC and Radioactive Waste Management (RWM) were in attendance to present and discuss the complex constraints and requirements of the waste container challenge with over 150 delegates in attendance. While a significant number of delegates had no previous experience working with the nuclear sector, their expertise from advanced manufacturing, oil and gas, and research and development meant that a highly energetic day resulted in a wealth of ideas generated. Of the 29 applications received as a result of this challenge and the event in January 2017, 18 were awarded £5k grants to develop business plans, presentations, posters and project plans for consideration by an expert review panel. Following the focussed review and ranking of all applications, 7 proposals were selected that were of clear interest to Sellafield Ltd, and potential partnerships were identified. This resulted in 3 projects being awarded proof-of concept funding. Heatric are specialists in diffusion bonding, a solid state method of joining materials while maintaining the strength of the parent materials. 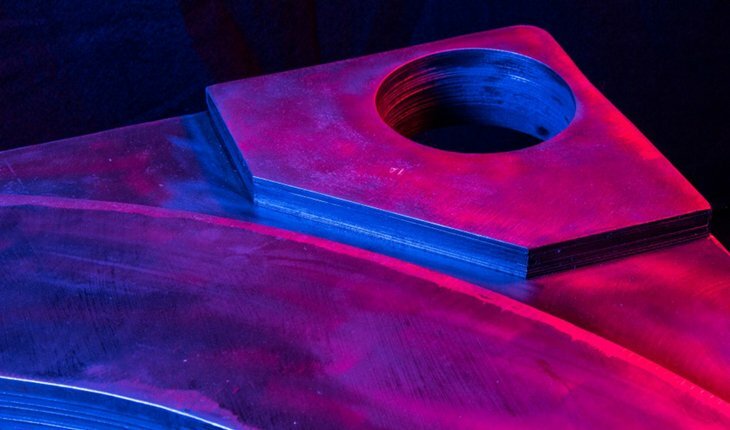 In Heatric’s proof-of-concept project, they are investigating manufacture of a diffusion bonded top flange suited to Sellafield’s waste containers, addressing a potential weak point in current manufacture at reduced cost. The second proof of concept project brings together the bespoke engineering design and manufacturing capability of Eadon Consulting, GFSA, and Arc Energy Resources on an innovative steel waste container of completely new design and with the clear vision to achieve ease of use and minimised through-life costs, with the ability to ensure efficient manufacturing volumes can be produced as required by Sellafield Ltd.
Amber Precast, LKAB Minerals, and RWS (inc. Tarmac) are collaborating on the third proof of concept project, bringing their collective experience together to explore the development of a new generation of fibre-reinforced cementitious/ concrete waste container. Their project entails a full review of the latest concrete admixture technology and identification of appropriate test methods to evaluate the suitability of new materials for use in nuclear decommissioning. The seven businesses are now developing their concepts through testing and trials with direct input and support from Sellafield Ltd and the National Nuclear Laboratory. “Through this process we have been able to explain our needs to a wide range of potential suppliers, and are funding 3 partnerships and engagement continues throughout. It has enabled Sellafield Ltd to work with suppliers in a different way that has accelerated progress through to proof of concept stage”.